With Envestnet Analytics, you can transform data into actionable insights. Apply advanced analytics tools to a comprehensive set of data to uncover practice and portfolio trends and business advantages. Firms can address key drivers to their business, identify current risks, and find their best growth opportunities. Learn more about the Enterprise Portal. Leveraging Envestnet Analytics capabilities, the Envestnet Manager Portal provides key metrics that can help asset managers drive better decisions on distribution and sales. Serving as a “virtual account manager,” firms can gain deeper insight about their book of business, run day-to-day operations more efficiently, and most importantly, raise assets more quickly. What makes the Envestnet Manager Portal unique is our ability to capture essential information about the clients you serve, prospects, as well as the advisor landscape as a whole. Keep informed of key advisor trends and benchmark your key business drivers versus your peers and the best in the industry. Focus on key client activities, find opportunities in held away assets, and set competitive fees. Benchmark your performance and compare it to professionals. Improve after-tax outcomes with Lifeyield Tax Efficient Score Dashboard. Use our data-driven insights to prioritize your work, save time gathering and analyzing your data, and monitor client goals and achievement in one place. Monitor investment policy and set optimal fees. Learn more about our Advisor Analytics Dashboard. Learn more about the Advisor Portal. Envestnet Analytics’ Advisor Dashboards bring unparalleled insights to help advisors drive growth, achieve scale, seize opportunities, and conquer challenges. Advisor Dashboards, available through our omni-channel platform, Envestnet Intelligence, delivers practice insights, peer benchmarks, and actionable intelligence to help advisors make better decisions faster. Leveraging our massive blind pooled data set, the RIA Pulse report provides timely insights into advisors’ investment activities, risk appetite, and other key trends. 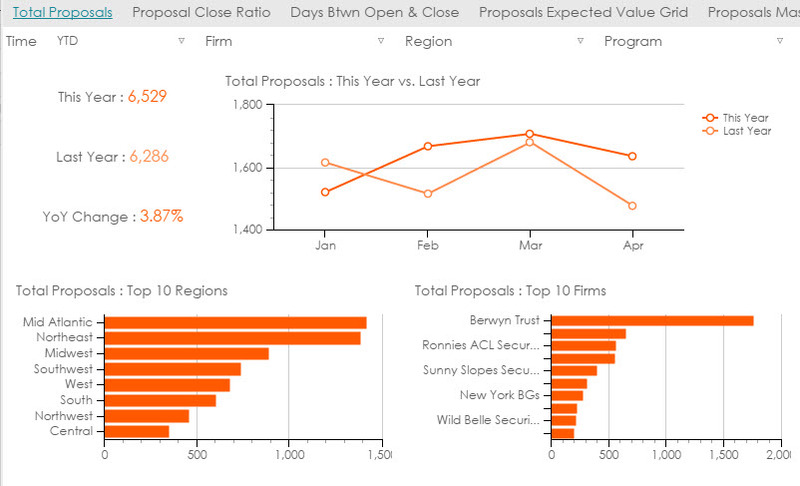 Our analytic tools can give you an inside look at your market share at firms. View detailed information by firm including deal terms and key contacts. Leverage CRM capabilities to share notes and upload, store, and share your marketing content with firms on the platform. View fee grids by product across firms and determine your research status and availability to advisors. Map your products to designated style categories by firm and get an overall picture of style allocations. Having the right information, accurate data, and the tools to efficiently manage relationships is the key to business planning. 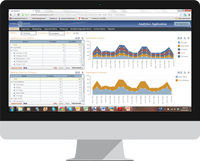 Learn more about our Basic Dashboard, Advanced Dashboard, and Product Availability Application. Learn more about the Manager Portal. Our portals are widely used by analysts at their workstations. Envestnet Intelligence lets you take the power of our analytics with you wherever you go. With Envestnet Intelligence, you can easily get the answers to key business questions. Simply ask the questions and access the answers through your desktop, via the Envestnet Intelligence mobile app, or on voice-enabled devices like Alexa. Then, seamlessly share the answers with your team to initiate action. You don't need to know how to write SQL to get your top business questions answered. Questions can be asked in everyday language, without requiring deep analytics experience. Gain holistic insights into your business with key business questions compiled from deep industry knowledge, data science, and the most comprehensive financial data, and organized into playlists based on your specific needs. 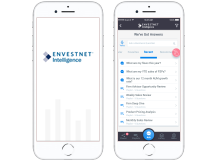 Access answers that follow you on your desktop through Envestnet Analytics, via the Envestnet Intelligence mobile app, or on any voice-enabled device. Seamlessly share answers to your business problems and action items to address them appropriately with colleagues. Learn more about Envestnet Intelligence. Download Mobile App: Apple or Android. Digital management tools and visualization of data that’s all about telling a story, answering the right questions, and triggering actions that get results. Take advantage of data intelligence--sourced by your firm--to help you make smarter business decisions when setting and executing sales plans. Dispatch and expand your most effective salespeople to help you grow assets under management. The complete counterparty picture including deals, oversight, analytics, and more. Set sales and activity goals by territory, key accounts, and management. Allows for teamwork among externals, internals, and management when setting goals. 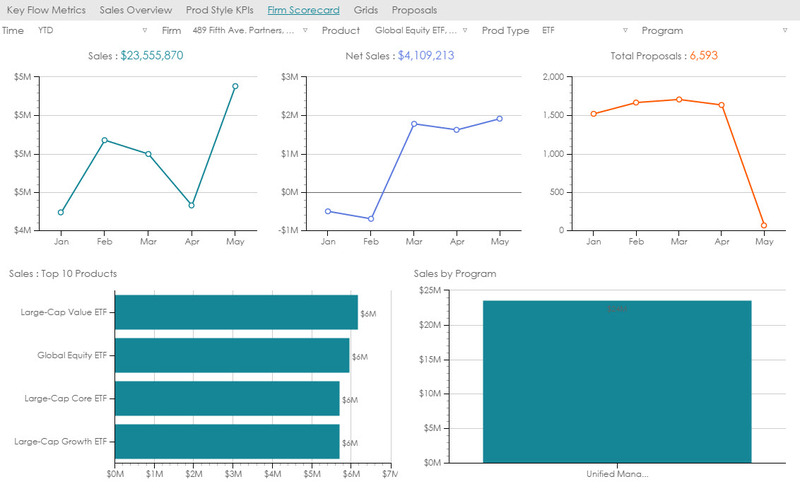 Gain realistic insight into sales and activity performance using BPA dashboards. Learn more about our Distribution Analytics capabilities.